Grace assists with communications and development needs for SMIF. 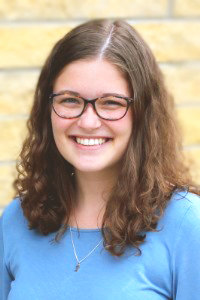 She has a love for writing and designing and especially enjoys her time spent gathering stories from around southern Minnesota. Grace is in her last year of college at the University of Minnesota - Twin Cities. She will graduate in May with a bachelor of arts degree having majored in Communication Studies and minored in Political Science. Outside of studying for classes and working for SMIF, Grace enjoys playing cello, knitting, and spending time with her adorable nieces. I am from Owatonna so I am a fan of Crazy Days and the newly named Art on the Hills. I've lived in Minneapolis for school, but the serenity and beauty of southern Minnesota always draws me back. I know I want to stay living in this area.